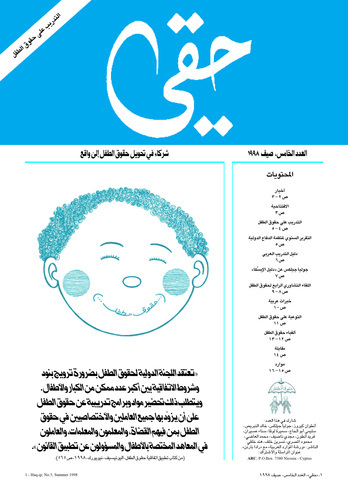 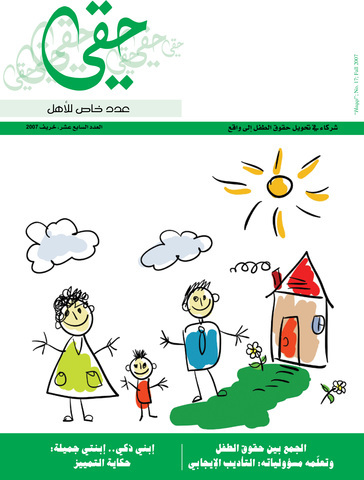 A newsletter on child rights and a tool for sharing information and experiences as well as networking between parties working in the field of child rights in the Arab region. 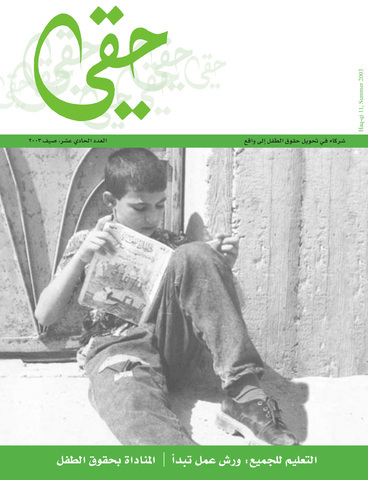 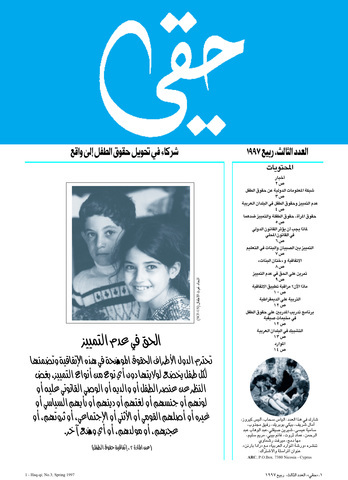 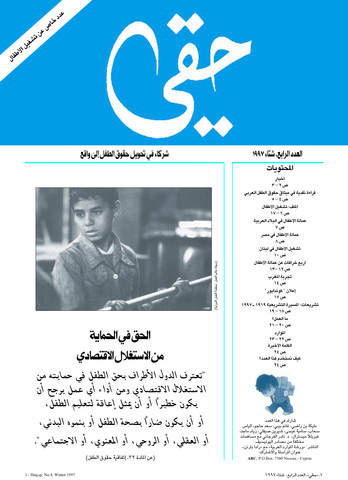 Thirteen issues have been published so far, covering the following topics consecutively: "juvenile delinquency", "the child's right to education", "the right to non-discrimination", "child labor", "training on CR", "children & youth participation", "in preparation to the special summit on children – children and landmines", "towards a world worthy of children", "children in armed conflicts", "towards a future with no children’s labor", "education for all", "children’s rights versus new problems", "physical punishment in schools is a big violation of CR", "how to enforce youth laws", "parallel reports and concluding observations", "terrorism accidents and their consequences on children", "violence against children inside and outside school", "discrimination between boys and girls, communication with children, responsibilities between children and parents, and protection". 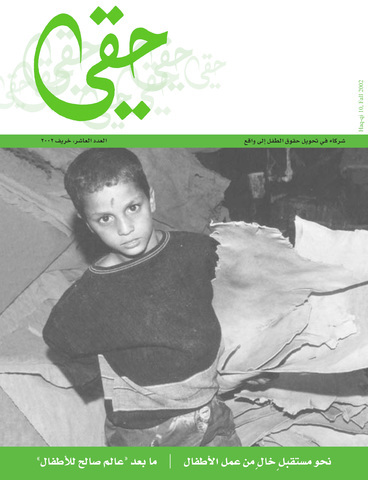 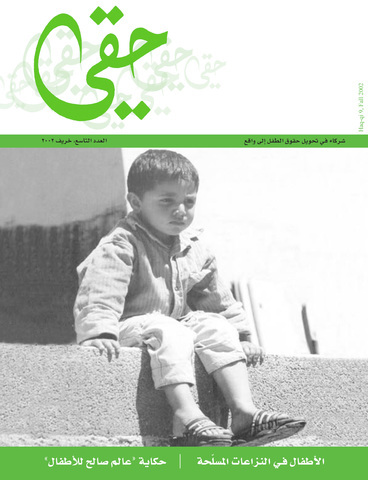 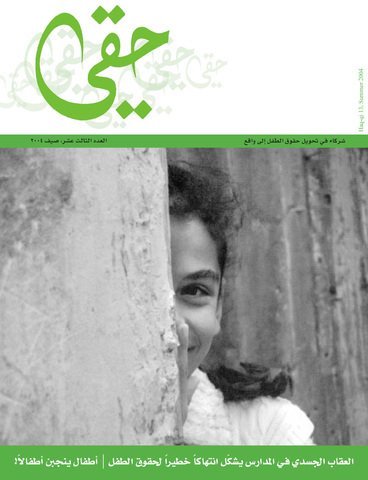 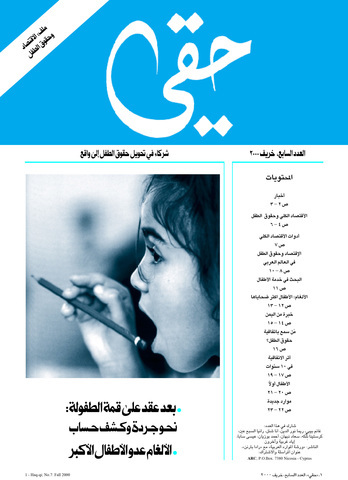 (The subscription (4 issues) costs 10 dollars for individuals and humanitarian associations, and 12 dollars for other institutions; the price of one issue is 2 dollars; most issues are also published in English).